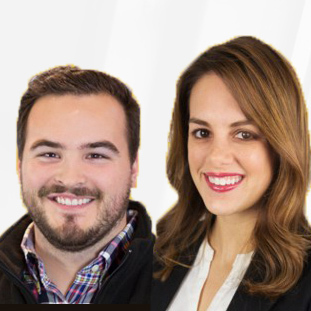 Spiro is an AI-Powered CRM that eliminates data entry, provides intelligent sales reports, and helps to improve sales teams performance. 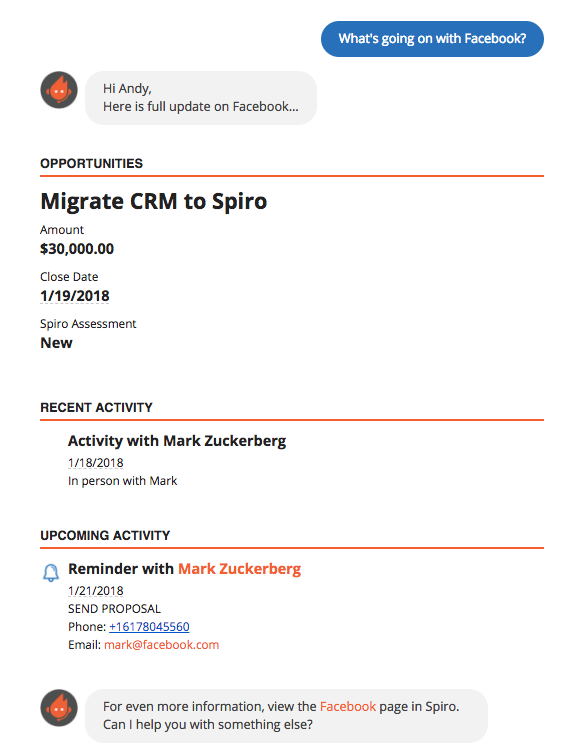 Spiro seamlessly integrates with Microsoft Exchange, Office 365 and Gmail for Business or any IMAP email service, and then automatically alerts users to new deals and enters contacts, companies, and opportunities into the CRM. Spiro then appends social information and generates activity history. Spiro prioritizes all deals and makes proactive recommendations to remind reps on who to follow-up with next in order to keep all opportunities moving forward. The in-built, AI-Powered email assistant allows users to have a simple email conversation with the CRM to create records, update data, run reports, and access a team’s performance on the go. Spiro’s VOIP provides users with one-click dialing, call forwarding, call recording, and the ability to send and receive text messages, allowing reps to reach more prospects every day. Spiro also has built-in email templates that are guaranteed to get opened. Spiro automatically collects 8 times more data than traditional CRMs, creating reports that are more robust, providing accurate sales forecasts and even highlighting inconsistencies in the pipeline. Spiro is available on the web, iPhone, and Android – with full CRM functionality – making it easy for reps to work whenever and wherever they want. Spiro takes the work out of sales so sales reps can focus on selling, and managers can focus on leading. Still not sure Spiro is right for you? Use our Product Selection Tool to compare other CRM solutions. Have questions? Call one of our unbiased Technology Advisors for a free consultation. Learn everything you need to know about Spiro. Our experts will reach out to you shortly.